OMG THAT WOULD BE AN AWESOME CHARACTER! I watch documentaries all the time, and i just watched a program called deadly 60(it's aimed at kids really >.>) and he just showed possibly my new favourate insect. I'm totally making this lady. 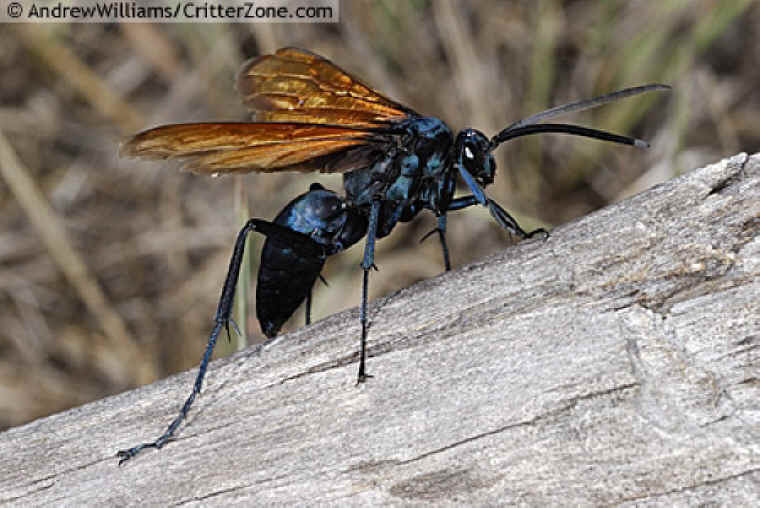 This is a Taruntula Hawk Wasp, something of a parasite really, it attacks large spiders, paralyses them with their venom and then lays an egg in the still living spider. >D It's about time we had a buggy to give some spiders a run about. hehe. Can't decide whether she'd be evil insane or crazy vigilante type with spider issues. So have you seen any bugs that make you want to make a new character?